At White River City's bank, before Shi Feng had arrived, a crowd of players had formed in front of the building's entrance. "Selling raw materials in bulk! A stack of Frost Gra.s.s for only 15 Silver! A stack of Flame Flowers for 21 Silver! First come, first served!" "Urgently selling Attribute Gemstones! Tier 1 Gemstones for 7 Silver each! Tier 2 for 75 Silver each! Limited stock available!" Players were selling all sorts of items near the bank's entrance. Level 30 Dark-Gold Equipment was even available for purchase. Current mainstream players were only Level 33, while elite players were generally Level 36. However, rather than sell Dark-Gold Equipment for in-game currency, these small-scale Workshops generally sold their items to Guilds for Credits, which they used to maintain their Workshop's operations. After all, such Workshops usually didn't have the financial support of a corporation. "These are so cheap! I want three Tier 1 Strength Gemstones and one Tier 2 Agility Gemstone!" "Get lost! I want two Tier 2 Strength Gemstones!" "I want three stacks of Flame Flowers!" Even after many players had obtained their Tier 2 cla.s.ses in the past, the majority of their Gemstones had been Tier 1. Only Guild members or wealthy experts could afford a full set of Tier 2 Gemstones at this stage of the game. He might've just walked away if only the Attribute Gemstones were available for a low price. After all, he could obtain much cheaper Attribute Gemstones from the Dark Den. Moreover, he normally sold these Gemstones through the Candlelight Trading Firm. However, it was a different story for rare herbs and ores. He had no shortcuts to obtain these items. He had to rely on his Guild members to collect them gradually. Now that someone sold them for 20% below market price, he would be doing the Candlelight Trading Firm a disservice if he didn't purchase them all. "How many rare herbs and ores do you have?" When it was finally Shi Feng's turn, he examined the middle-aged vendor. The man was only a little over Level 10. He was obviously a Guild player as only Guilds had such logistic players, yet neither the man, nor the players helping him wore a Guild Emblem. "Dear guest, let me a.s.sure you that we have an abundant supply. We have as much as you could possibly want." 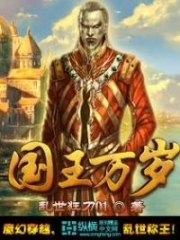 The middle-aged man revealed a businessman's smile as he glanced at the cloaked Shi Feng. "I see. Alright, then. I want 3,000 stacks of Ice Dew Flower, 3,000 stacks of Moonlight Gra.s.s…" Shi Feng listed various herbs and ores, requesting 3,000 stacks of each. Ice Dew Flowers and Moonlight Gra.s.s were both main materials for producing the Ice Resistance Potion. In addition, Shi Feng had asked for the main materials necessary to craft the Fire Resistance Potion. As long as he had these materials, he could produce Ice Resistance and Fire Resistance Potions in bulk. By the time White River City grew and the city's players could travel to the Eclipse Gate, these two potions would sell like hotcakes. Shi Feng clearly remembered that, shortly after the Flying Ship feature launched, these potions' prices had skyrocketed. The raw materials also became incredibly popular. White River City's current development speed far outstripped that of the past. Based on Shi Feng's estimation, it wouldn't be long before the Flying Ships were available in White River City. If he stockpiled Ice Resistance and Fire Resistance Potions now, by the time players could travel to the Eclipse Gate, he would make a fortune. "Dear customer, are you sure you want so many materials?" Shock lit up the middle-aged man's face as he listened to Shi Feng's request. "The bag s.p.a.ce of one or two people won't be enough to hold so many. If you really want them, we'll need some time to transfer the materials over from other cities." Even if he emptied his warehouse in White River City, he wouldn't come close to fulfilling Shi Feng's order. "Sure, I can wait," Shi Feng said, looking nonchalant. In any case, he had something to do in the bank. If there was money to be made, he could be patient. 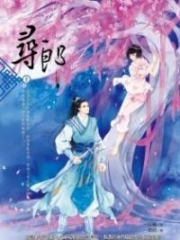 Hearing Shi Feng's confidence, the middle-aged man smiled brightly. Hurriedly, he said in a respectful tone, "Please wait here for an hour. I'll send my men to fetch the materials. However, we don't have enough stock of some of the materials you have requested. Do you still wish to purchase them?" "So be it. In any case, bring as many of the materials I listed as you can. I'll buy everything. As a precaution, let's sign a contract. I'll return in an hour to find you. If you prepare the items early, you can meet me in the bank's main hall," Shi Feng said. He then produced a contract and handed it to the middle-aged man. "Please rest a.s.sured; I'll have my men bring the materials immediately." After the middle-aged man read through the contract, he signed it without hesitation. He then began to contact his subordinates. As for Shi Feng, he entered the bank's main hall. "h.e.l.lo, sir; how may I be of service to you today?" the female NPC behind the front counter smiled as she asked Shi Feng politely. "I want to enter my Personal Warehouse. Here is the key," Shi Feng said. He then pa.s.sed a bronze key to the female NPC. "Please follow me, sir." After the NPC received the key, her att.i.tude towards Shi Feng shifted, showing more respect. The key Shi Feng had produced was paired to a Large Private Warehouse. This made him one of the bank's VIP guests. No player could steal information about a Private Warehouse's contents. This was the reason that Shi Feng had rented one for himself. Upon arrival, Shi Feng carefully opened one of the warehouse's safes. The instant the safe opened, the air in the Private Warehouse grew heavy as a powerful aura surged from within the safe. The safe contained none other than the Legendary ranked Holy Grail. "This is…" Originally, Shi Feng had intended to retrieve the damaged G.o.d Crystal from his bag. However, as if this G.o.d Crystal had been summoned, it flew from his bag without his involvement. As the G.o.d Crystal hovered before Shi Feng, it radiated a faint, golden glow. The G.o.d Crystal, which should have lost its power, seemed resurrected. It radiated a powerful Divine Might that prevented Shi Feng from moving. 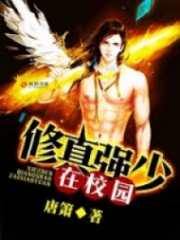 You're Read Reincarnation Of The Strongest Sword God Chapter 967 - Damaged God Crystal online at NovelOnlineFull.com. You can use the follow function to bookmark your favorite novel ( Only for registered users ). If you find any errors ( can't read,broken links, can't load photos, etc.. ), Please let us know so we can fix it as soon as possible. And when you start a conversation or debate about a certain topic with other people, please do not offend them just because you don't like their opinions. You're reading Reincarnation Of The Strongest Sword God. This manga has been translated by Updating. Author(s): Lucky Cat. Already has 1599 views. Current Time is 25-Apr-2019 03:54:33 AM.